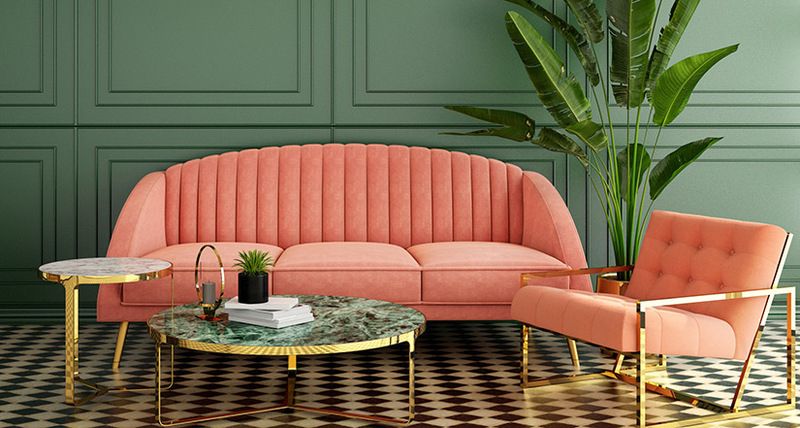 These décor colours boldly step into the unknown of the coming 2020’s. Yet by mixing the best of the old and the now these colours simultaneously make any room feel comforting and welcoming. Below are a few of our favourites. A new twist on hunter green, Night Watch is one of Pantone’s hottest décor colours for 2019 for a reason. It’s a dark green that feels familiar yet different and exciting. It should feel familiar to most, as hunter green was last popular in the 90’s. Taking the old and blending it with the new, Night Watch is perfect for larger, well-lit rooms (like a family/living room). Here’s something different: because the Internet of Things is slowly creeping into our homes, different types of colour are creating an all new colour experience. 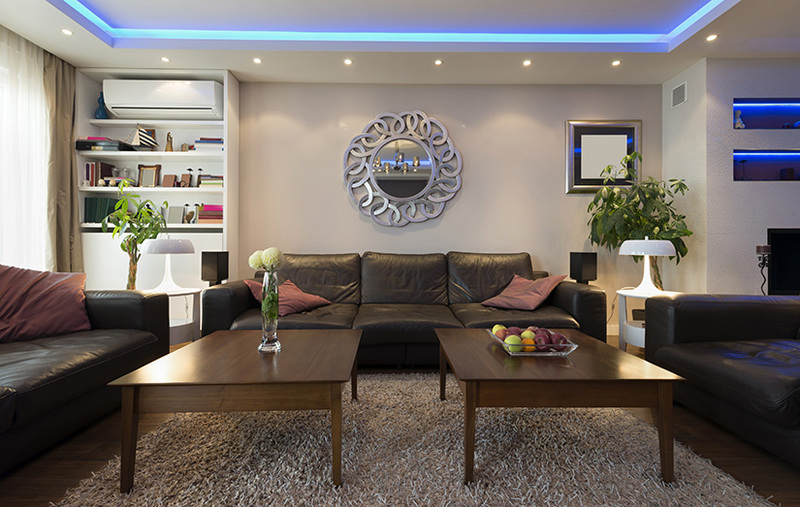 Smart lighting is able to create unique hues not only in a room’s overhead lighting, but on stairways, floor trim, doorways, and anywhere else smart LED lighting can be utilized. This creates the illusion of just the edge of artificial lighting gracing a surface, creating a completely different look that’s unlike anything seen before it. Use a soft colour such as Twilight Mist to perfectly compliment your smart lighting, and discover for yourself why this is one of the hottest décor colours. For a more subdued look, consider implementing muted pastels into your home’s spaces. This is one of the hottest décor colours due to its simplicity and subtlety that can be applied to any room of your choosing. No matter if you want to use a muted blue pastel or you want to spice things up with something like a purple or yellow, be sure to go as soft as possible. The softer and more subtle the tone, the more of an impact muted pastels will have on your rooms. Last but certainly not least is Living Coral: Pantone’s Colour of the Year 2019 and one of the absolute hottest décor colours of the year. In many ways, Living Coral is a colour that protests the unique digital look we mentioned above, yet that’s the beauty of the colour and this year in general. Different décor colours are able to co-exist and provide the same calming vibe – they just achieve the same result in different ways. Living Coral, like other décor colours of the year that blend the natural world with interior design, is perfect for the spaces that are the most sociable: family rooms, recreational spaces, etc. For an added effect, consider layering furniture that encompasses tones from nature (e.g. bold yellows, greens, oranges, etc.) for a classical look your guests won’t soon forget. Interested in decorating your home with these hot new colours? Stop by our showroom and we’ll show you the way!